Below you will find information about the winners of the Best Stream Restoration category of the 2014 BUBBAs. To learn more about our winners, check out the project files on our Google Drive account here. The Cabin Branch Stream Restoration is a showcase for Regenerative Stream Channel (RSC) restoration technology, highlighting within one project three prototype RSC applications for water quality improvement in streams degraded by stormwater runoff: 1) an End of Pipe Retrofit utilizing removal of legacy sediments; 2) a retrofit of an out-dated stormwater dry-pond, capturing water at parking lot level and releasing it through a RSC system to receiving downstream waters, and 3) a sand seepage wetland which using the standard construction sequence and raising the incised stream channel. By installing a system of cobble riffles, berms, seepage wetlands, shallow pools, and native plants, we are integrating ecosystem restoration with stormwater runoff management, restoring stream and wetland function, reconnecting the stream to the floodplain, re-establishing historic plant communities, and restoring remaining headwaters, adjacent floodplain, and riparian areas of Cabin Branch. See the full project file here. For more information about this project and to see more photographs, take a look at this powerpoint. Our jurors appreciated this project’s use of innovative stream and floodplain restoration techniques that increased floodwater storage potential, created wetlands, improved infiltration, reduced stream bank erosion, and increased filtration of stormwater runoff. These restoration techniques resulted in improved water quality both on-site and downstream. 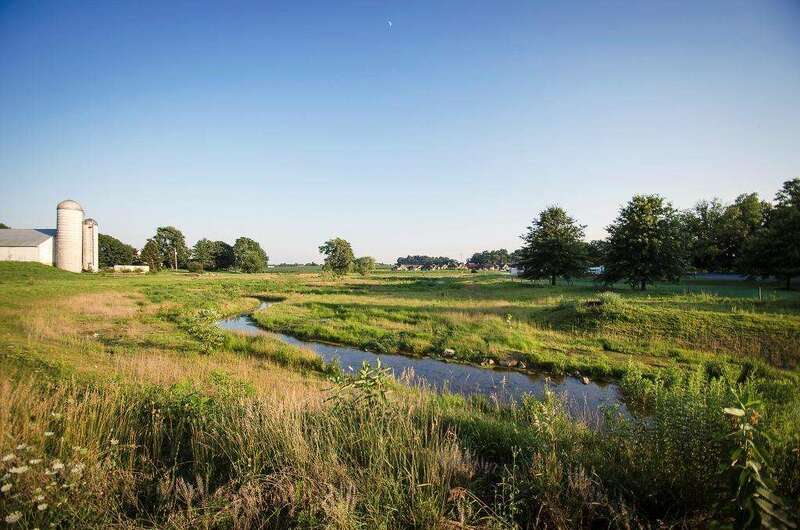 As one of Pennsylvania’s first applications of floodplain restoration as a stormwater BMP, this project vastly improved stream function and the site’s ecological biodiversity while making efficient use of remaining undeveloped land within the property. This project focused on the restoration of a seepage wetland ecosystem. 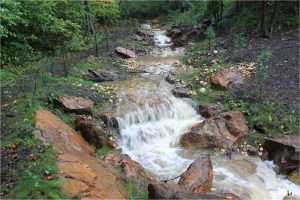 It involved filling a severely eroded channel, installing rock and riffle grade control structures, and establishing a native plant community in the channel’s riparian zones. 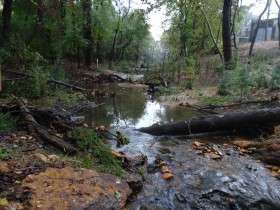 The project also utilizes innovative stream restoration techniques such as a “bubbler” to attenuate discharge energy and increase the flow path, thereby allowing a greater treatment area. Thank you to all our contestants who participate in the 2014 Best Urban BMP in the Bay Award ! We’d like to extend our deepest gratitude to the sponsor of the 2014 BUBBAs.